In the beginning of this blog, I was all, "I'm gonna have hard feelings and I'm gonna talk about it and if you don't like it, well, gai kaken ahfen yam." Then I proceeded to not talk about any feelings for, like, ever. Not because I haven't been having hard feelings, but because I've been having the hardest feelings ever. I suppose I should clarify that when I say I am having "hard feelings", I am referring to feelings that feel difficult when you are feeling those feels. You feel me? I am not referring to grudgy feelings, though I often come back to my grudgy feelings toward 24 for being such a terrible show, and for stealing 24 of my precious 42-minute hours. Now that we've got that cleared up, let's push on. I haven't been talking about the feelings because, dude. Who wants to let everybody know that secretly you're thinking that your indiegogo contributors are a hairsbreadth away from discovering you're a phony, and then taking you to small claims court for their $40 back? Who wants to let everybody know that you're pretty sure your mentors are just about to discover that you don't actually have the aptitude for this work that they thought you had? And who wants to let everybody know that you feel like you're never going to learn all the things you need to learn? 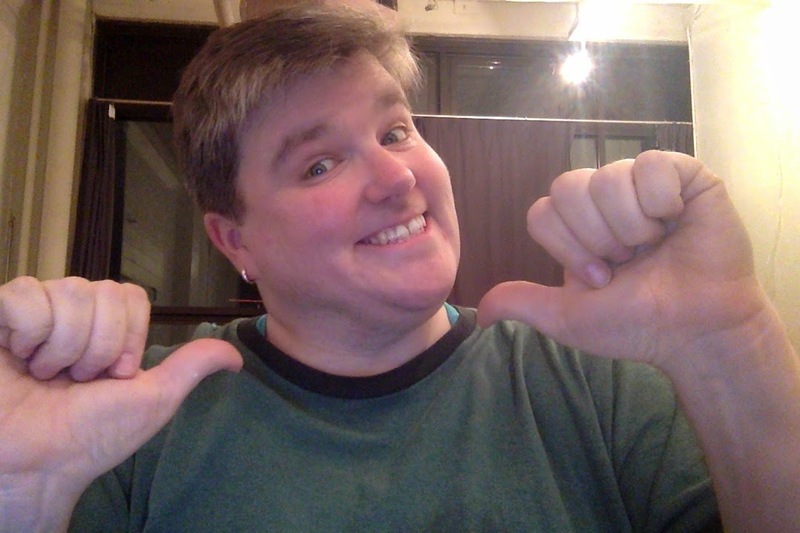 I'll ask it a different way: who's got two thumbs and doesn't really want to talk about it? But that's part of it. Talking about it is part of the deal I made - to blog about what it's like to try bootcamping onesself. So I'll tell you this - it's awesome and empowering and scary and it's painful and it's hard. I'm not saying this as some sort of cautionary tale - this is not a "you have to really want it blah blah blah" kind of conversation. I'm saying it so that when you feel this same thing, you know it's not you. I'm not really sure I had a point in bringing this up, except to, y'know, bring it up. I haven't fixed it. I don't have a silver bullet or anything. But I guess I can say that every developer I've talked with about this has experienced impostor syndrome to varying degrees, which means, a) it's not just me, and b) OMG I must be totally on the right track! Tim Chevalier, a successful developer wrote a big long series of blog posts about impostor syndrome. He also talked about it on this episode of the the Ruby Rogues podcast. And here are a couple of videos from Brené Brown, a professional researcher of vulnerability and shame. They're not about impostor syndrome, per se, but they're really about the underpinnings of impostor syndrome. Regardless, these videos are excellent. Really good use of 40 minutes (way better than an episode of 24, that's for damn sure).